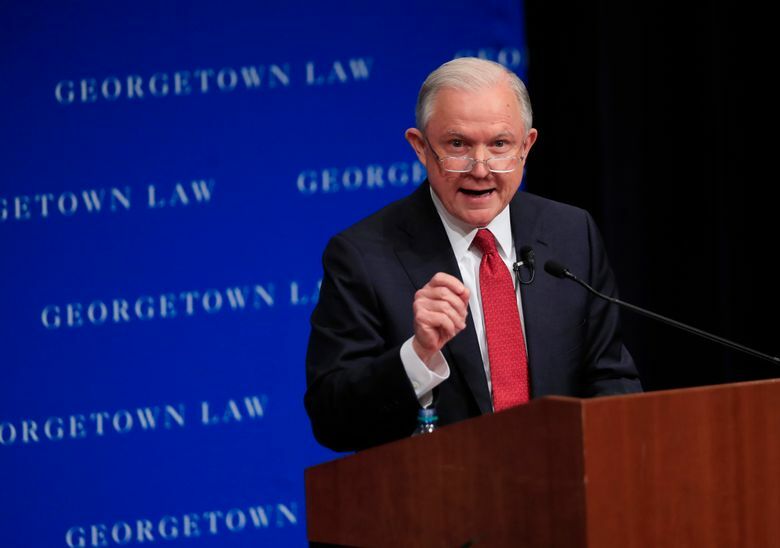 WASHINGTON (AP) — Decrying what he sees as political correctness run amok on college campuses, Attorney General Jeff Sessions said Tuesday the Justice Department will ramp up its support for students who sue universities claiming their free-speech rights have been violated. 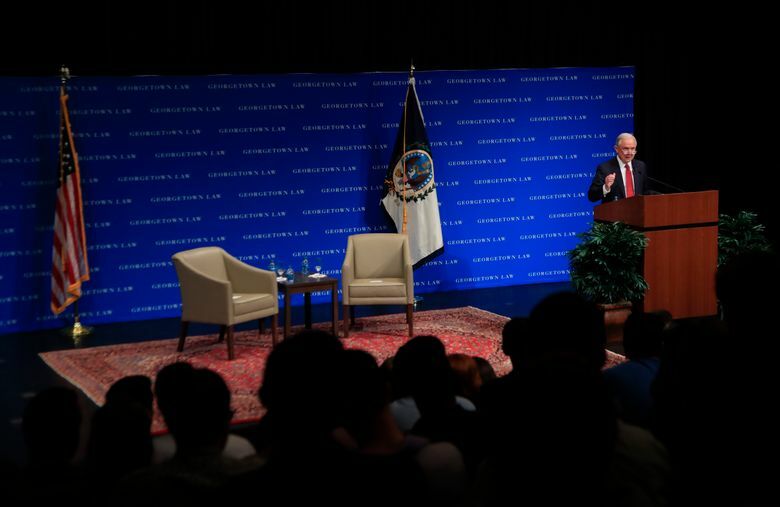 The complexity of the free-speech issue was on display as Sessions spoke to an invitation-only crowd at Georgetown University’s law school. About 200 protesters gathered outside in university-designated “free speech zones” and some students complained they were excluded from the Sessions event. But even as he lamented what he sees as a lack of tolerance for unpopular views on campus, Sessions condemned the NFL players who have been exercising their own freedom of expression by kneeling silently during the national anthem before games. 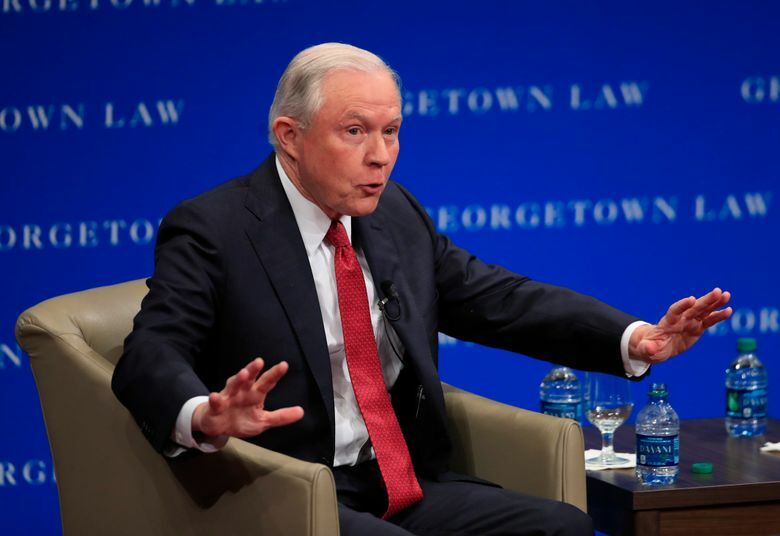 “These players, with all the assets they have, can express their political views without in effect denigrating the symbols of our nation, a nation that has provided our freedom to speak,” Sessions said during a question-and-answer period. In declaring free speech “under attack” on college campuses, Sessions dove into an issue that has become a cause celebre for conservatives who argue their voices are being drowned out on college campuses, with speeches by right-wing figures derailed by protests and threats of violence. Demonstrations erupted this week at the University of California, Berkeley, around a planned four-day conservative event dubbed Free Speech Week, which was suddenly canceled. Sessions blamed administrators, saying they “coddle and encourage” by caving to protesters’ demands. 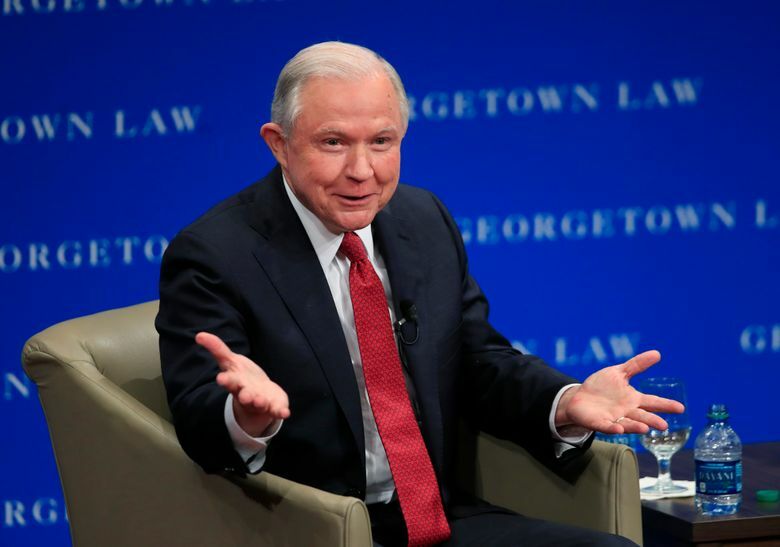 As Sessions spoke, the Justice Department announced it would throw its support behind a student who sued Georgia Gwinnett College, arguing his rights were violated when administrators limited where he could preach Christianity on campus. The department filed a so-called statement of interest in the case, saying its concerns were heightened because the student had also alleged religious discrimination. The crowd of invited students, staff and Justice Department employees was mostly friendly. But in at least one row, students sat silently in black with duct tape over their mouths. Sessions hasn’t always been a vocal supporter of free expression. As an Alabama senator in 2006, he spoke out against flag burning, which the Supreme Court has ruled is free speech. He spoke then about the need for reasonable “time, place, and manner” restrictions on speech. “In my view, the flag of the United States is a unique object, and prohibiting its desecration will not in any fundamental way alter the free expression of ideas in this country,” he said at the time, in support of proposed constitutional amendment outlawing the practice. But law professor Randy Barnett, who organized the event at the Justice Department’s request, said he invited certain students from his classes because he was looking for an audience that would be civil, not sympathetic.